If you're still skeptical about managed services and software as a service (SaaS), spend a day at Long Island's Hofstra University. Roughly 13,000 Hofstra students have access to Google Apps Education Edition to collaborate online, according to Robert W. Juckiewicz, Hofstra's VP of IT. The university's ongoing experience with SaaS -- and Hofstra's future goals -- provide some clear hints about how the corporate software market may evolve. Nobody is predicting the death of Microsoft Office, but it’s clear from case studies like Hofstra that Google Apps and Microsoft’s desktop productivity suite are on a long-term collision course. Consider the situation at Hofstra. Increasingly, Hofstra’s students are required to complete their coursework in teams, working together in an enriched learning environment on everything from case studies to economic modeling, notes Juckiewicz.”The demands for mobility, and the ability to access online resources anywhere, anytime is essential in supporting the academic success of today’s students,” he asserts. With these goals in mind, Hofstra has deployed 802.11n wireless networks and is now testing unified communications for data, voice and video convergence. The 802.11n deployment is one of the first such university projects in the North Eastern United States. Overall, Hofstra’s IT infrastructure is designed to support next-generation applications that are SaaS-centric. Over the past year, Google’s Gmail has become Hofstra’s mainstay email platform for students and alumni. On average, according to Juckiewicz, roughly 8,700 students out of 13,000 students regularly use the Google Apps system. While Google Docs is beginning to gain traction across Hofstra, students are also using Google Talk for live chat and instant messaging and Google Calendar to share class schedules. LDAP (lightweight directory access protocol) integrates the entire system with Hofstra’s portal, providing single sign-on services to all students and alumni. Nobody is suggesting that universities running Microsoft Office will pull the plug on that desktop suite anytime soon. After all, Office provides a far more comprehensive feature set than Google Apps. Plus, students don’t have to be connected to a network to access and use Office. Still, several major developments will put Microsoft Office and Google Apps on a collision course in higher education. 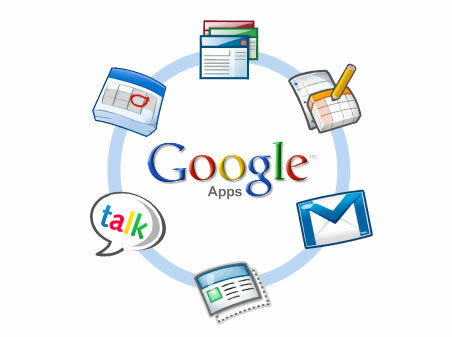 For instance, Google in November 2007 indicated that future releases would allow users to edit Google Apps while offline, according to TechCrunch. Assuming the offline capabilities arrive this year and work as advertised, Google Apps will become at least a partial replacement to Microsoft Office over the next two to four years, predicts one academic CIO who requested anonymity. “Either way, Microsoft is going to face pricing pressure as Google Apps and OpenOffice [the open source application suite] catch on at more universities,” says the CIO, who represents a college in Texas. Back at Hofstra, the university continues to press ahead with its SaaS efforts. “My colleagues at other educational institutions and I agree that Google has the understanding and infrastructure to supply SaaS in ways that create computing environments in which universities can thrive,” notes Juckiewicz. For managed service providers, Google Apps provides important hints about the rapidly evolving SaaS and managed services landscape. Google recently introduced managed security services for email systems. Storage as a service could also become a commodity within the Google Apps framework. The challenge for MSPs is to embrace and extend commodity SaaS services with more comprehensive managed services. Level Platforms CEO Peter Sandiford has pointed out that managed services platforms increasingly will need to optimize SaaS environments. You mentioned OpenOffice in passing. Since it runs on Windows and Linux and Mac OS (via NeoOffice), I think we’ll be hearing much more about OpenOffice as a front end to all of these online apps. Keep in mind that many “online” applications are gaining “offline” capabilities. One example would be Zimbra email, now owned by Yahoo. This offline ability is the clear trend of the future. MSPs will need to find a way to manage and protect both online and offline devices.